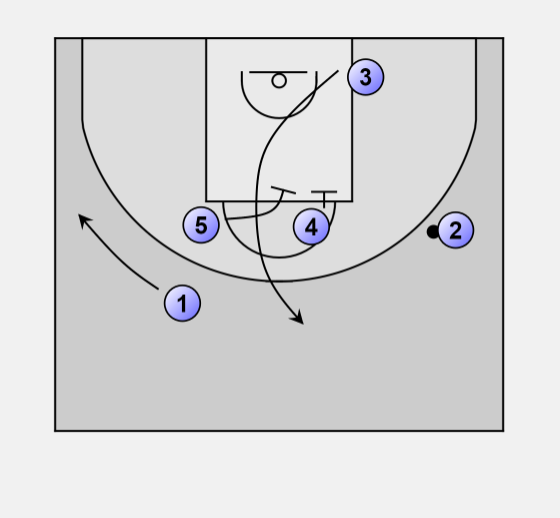 2 uses the (staggered) screens from 5 and 4 to get free on the other side of the court. 3 goes to the low post. If there is no quick pass to the low post. 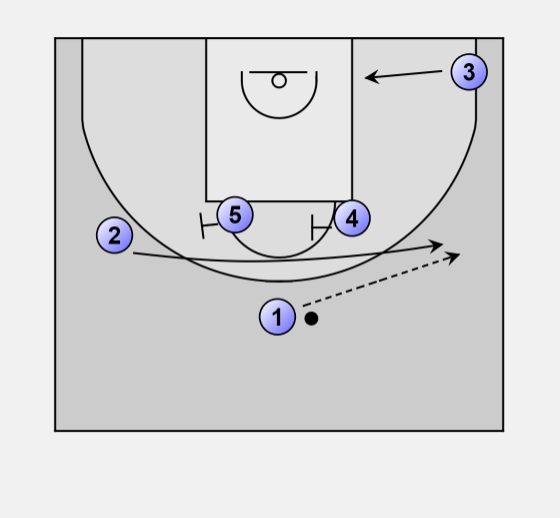 3 uses the double screen from 4 and 5 to get free at the top of the three-point area and takes the shot. Not that 1 makes room. 5 side is the same, but finishes with post up 5.